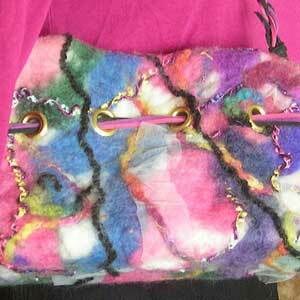 You will have everyone stopping you on the street asking where you bought this purse! It is truly a piece of art! 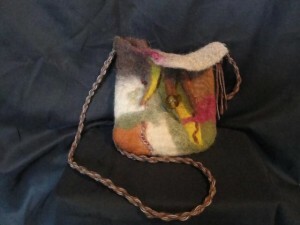 In this class you will make your own felted handbag from wool and alpaca fibers. Make a matching scarf in our afternoon class and really catch everyone’s eye! Join us for the hat felting class on July 16 and complete your ensemble. Class will meet on July 17, 2016, 9:00am-1:00pm. 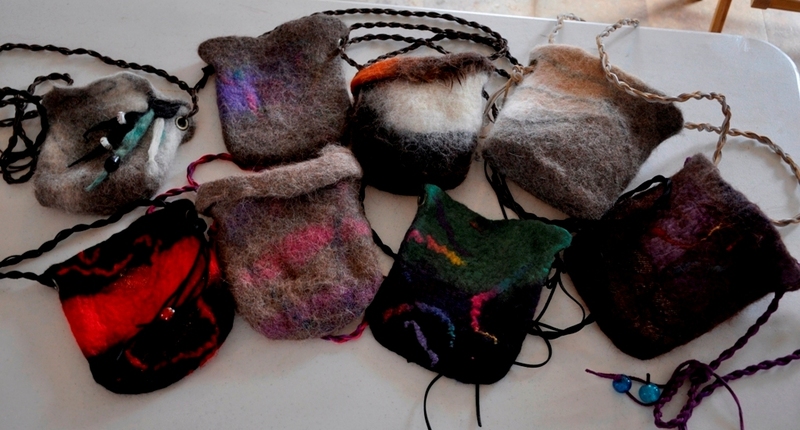 Take just this class or join us for the day to make a matching scarf. Purse Class Fee: $40.00, plus $25 material fee. 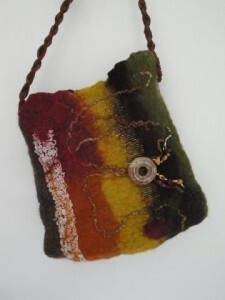 Register by phone or online for one or more of our wet felting classes. Sign up by July 1 to reserve your space. Wet felting is done using the raw washed and combed fiber from alpacas and sheep. Combine it with warm, soapy water and rub to create a lovely and durable fabric. No knitting is involved in this type of felting, and no fiber art experience is required to have a great time creating a one-of-a-kind piece. 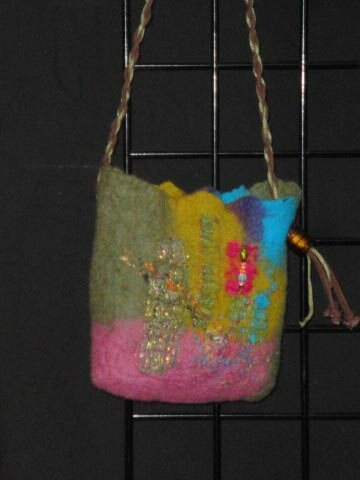 You can see pictures from our previous wet felting classes on our Facebook page.